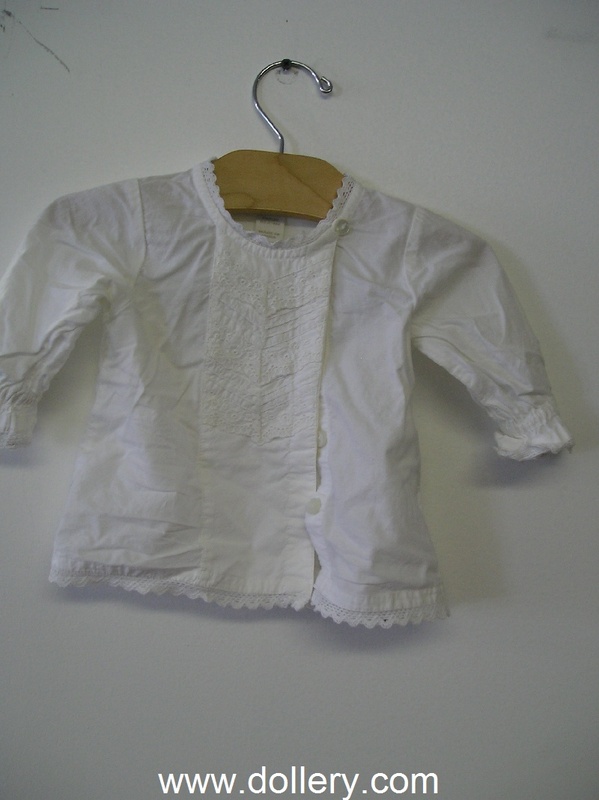 White shirt by H&M, size Eur 62 or US 2-4 M with hidden front button placard. 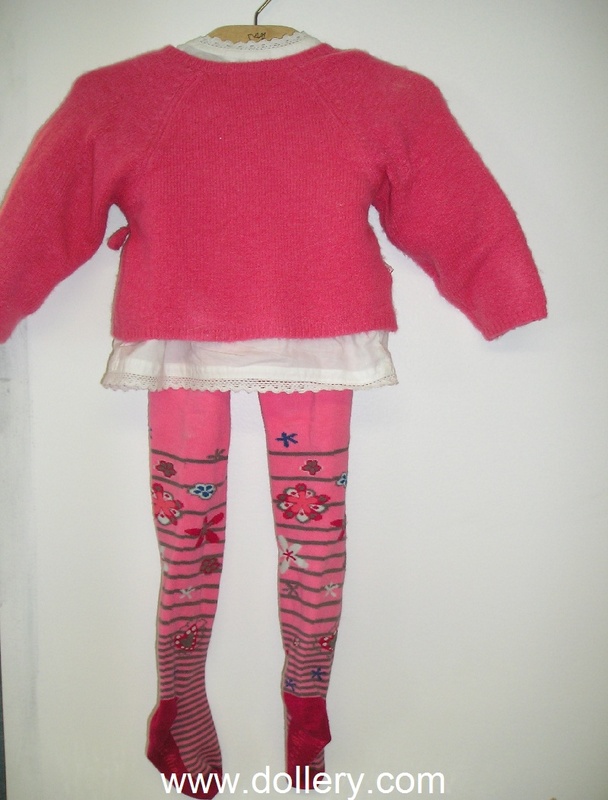 Pink Sweater by Obaibi, size 3M/Mor 60cm. 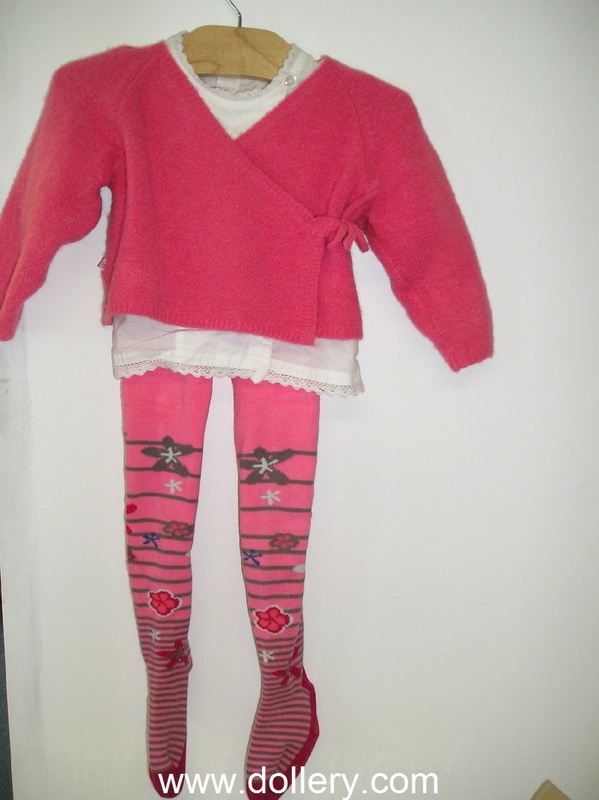 Tights by Souris Mini are size P Enfant 68-103 cm. Black Velcro shoes with pink flower are size 5. 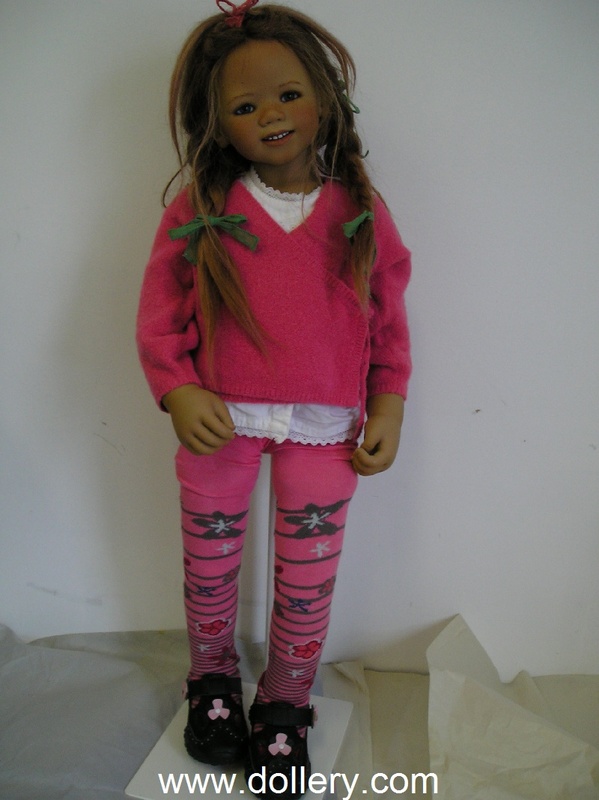 Came dressed on 2008 Anne Moni, 32 1/2", 83cm. The tights are a little long for her. Dolls are sold separately. 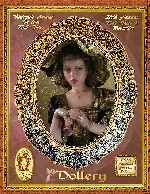 Click here to see this Anne Moni.